The Arcola School Board recently approved some changes to the student fee schedule for the 2018-2019 school year. The Board approved an increase of $0.10 in lunch and breakfast prices for next school year. The increase would be from $1.95 to $2.05 for elementary and $2.20 to $2.30 for JH/HS. The increase for breakfast will be from $1.35 to $1.45. This change was required as part of the federal lunch program that the district participates in annually. The district is required to keep the paid prices close to the per meal reimbursement rate set by the federal lunch program. Reduction of Textbook/Registration Fee by $15 at all levels. 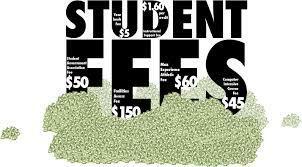 The Fees will be ES - $30; JH - $40; HS - $45. There will be no $15 student activity fee for junior high and high school students. There will be no $5 art fee for the elementary school students. For junior high and high school extra-curricular activities, there will be a one-time $20 fee per student rather than a $20 fee per activity. The parents and community of Arcola has always supported the school district in tough financial times. The district is currently in strong financial condition and as a result, the Board decided it was time to reduce fees.